Rex’s beef and sheep farm at Batley, on the Kaipara Harbour, has been in his family for almost a century, however these days the only evidence of the spot’s fascinating historic past is a magnificent two-storeyed villa standing alone on the point. Neither Rae nor Rex are youngsters and their love affair, developing relationship and life together go through many twists and turns before they eventually marry. 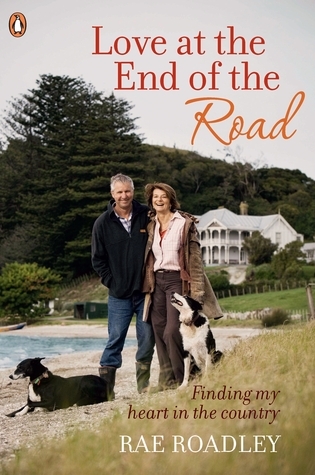 Meanwhile Rae, a lifelong city dweller, learns to cope with mud, managing a large house and garden, the intricacies of farming, and the frustrations of life in New Zealand’s backblocks, all the while getting to know the locals and an assortment of animals – from wild kittens to wild bulls. Rae’s charming story is beautifully written from the heart and, not only does she find love with Rex, but she finds out more about herself than she ever knew. Woven through her account is the story of the great house itself at Batley and the history of the surrounding countryside.